Laboratory science in America’s colleges and universities can be a dangerous business. This article by Scientific America outlines the dangers and fatalities that have occurred in America’s institutions of higher learning. Most universities or colleges maintain laboratories or research facilities that store hazardous materials as part of their regular operations. The chemicals used in these facilities must be properly stored and disposed of, or there can be serious ramifications for your institution. Failure to properly manage these resources so can result in massive fines and punitive actions being taken against the educational institution. Because proper management of these waste streams is so important, the following are some crucial things to keep in mind regarding how to manage hazardous waste within your academic setting. Many teaching universities have laboratories on site, and within those laboratories are a variety of materials and chemicals. It is important to understand that no chemical that is deemed hazardous can be disposed of safely in the municipal trash, or alternatively disposed of in sinks or municipal sewer systems. This is against the law and can lead to major fines!! If your university or college has expired chemicals just sitting on your shelf or, perhaps, the leftover content of an experiment involving chemicals, you need to make sure that you follow the laws that have been established by the Resource Conservation and Recovery Act (RCRA) to ensure safe and compliant disposal. What is a Lab Pack? Lab packing is a process of managing hazardous and non-hazardous materials (including laboratory chemicals and samples, cleaning supplies and maintenance supplies) of five gallons or less for transportation and disposal. The purpose of a lab pack is to facilitate the chemicals’ proper disposal under federal regulation. The amounts of these chemicals are generally small when compared to other generated hazardous wastes, but they are no less dangerous. The lab pack disposal process involves first identifying, categorizing, and segregating each chemical by type (solvent, acid, or base), re-packaging them, then depositing the packaged chemicals into a drum that is no larger than 110 gallons in size. An absorbent substance, such as vermiculite, is then added to the filled container. 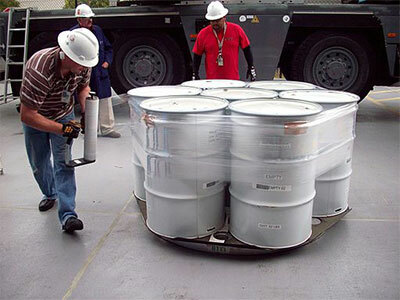 If a current drum of already-packed chemicals is leaking or damaged, it will need to be ‘over-packed’ in a larger drum. Finally, when the containers of chemical wastes have been secured, they are correctly labeled, marked, and readied for transport. The first crucial step of lab packing involves accurately identifying the materials that are stored within your lab setting. Many of these chemicals are going to be hazardous while some will be nonhazardous waste. Proper identification ensures that waste is sent to the proper facility to safely treat that waste. Non-hazardous waste disposal entails different treatment methods and cheaper cost than, say, biohazardous material, so it’s important to properly determine what’s in your lab, as well as other university departments. It’s imperative to know what everything is so that it can be safely stored, packaged, shipped, and treated without any adverse reactions (fire, explosion, toxic fumes, and so on). Expired chemical disposal or medical waste disposal can be incredibly dangerous if done incorrectly. Items are typically segregated with compatible chemicals and then packaged into an appropriate container (typically 55-gallon drums) with compatible absorbent. Proper packing technique ensure that all flammable waste is kept separate from corrosive waste, which is then kept away from reactive waste. Accidentally combining two elements that react together poses extreme health and safety risks to anyone in contact with the waste. All small vials should then go into larger containers that contain absorbent material, in the event of a spill or any breakage. These containers should always be approved by the Department of Transportation (DOT). Because of the stringent regulation on small-volume chemical disposal, it would be wise to consult a RCRA-approved hazardous waste disposal company that can handle your school lab waste removal in accordance with the law. The stakes for proper hazardous waste management are high. EPA Fines have gone up recently, so proper administration is critical. 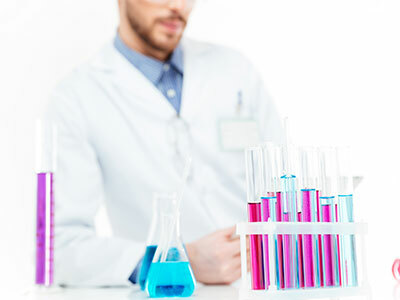 EPA-compliance, proper licenses and certifications and up-to-date and thorough regulatory knowledge are the musts to look for in a prospective company to handle your lab packs. Be sure to also to ask whether the hazardous waste removal company has the required training, experience, skilled technicians, detailed cleanup crews, and experience filling out the paperwork necessary to keep you in regulatory compliance. By making sure your hazardous waste disposal company which adheres to these criteria, you can ensure your laboratory chemicals will be picked up on a routine schedule when you need it, packed per the EPA’s rules, and safely disposed of, all why offering the best possible price.